Loratadine in LORA PLUS Tab is an antihistamine that reduces the effects of natural chemical histamine in the body. Histamine can produce symptoms of sneezing, itching, watery eyes, and runny nose. Loratadine is a tricyclic antihistamine, which acts as a selective inverse agonist of peripheral histamine H1-receptors. Histamine is responsible for many features of allergic reactions. Loratadine is well absorbed from the gastrointestinal tract. 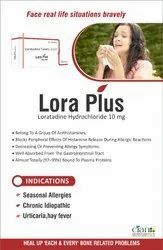 Loratadine in LORA PLUS Tab is indicated for the symptomatic relief of allergy such as hay fever (allergic rhinitis), urticaria (hives), chronic idiopathic urticaria,and other skin allergies. 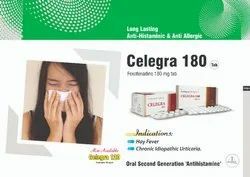 For allergic rhinitis (hay fever), loratadine is effective for both nasal and eye symptoms: sneezing, runny nose, itchy or burning eyes. Loratadine could be also used to treat mild to moderate pain from headaches. 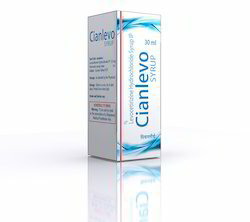 CIANLEVO SYRUP is highly potent third generation H. receptor antagonist. 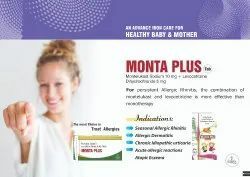 It is an antiallergic for early & late phase of allergy. 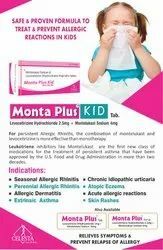 It works by blocking a certain natural substance (histamine) that your body makes during an allergic reaction. 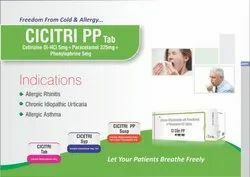 We are engaged in offering highly effective Cian Cold Tablet, which is made available to the clients at affordable prices. The tablets we offer are processed at our advanced unit, making use of high-grade ingredients and allied composites. Furthermore, we ensure that each tablet is processed in adherence with the medical industry standards, thus ensuring safe consumption. 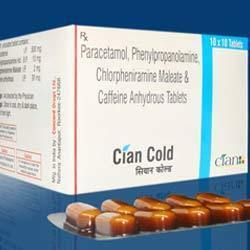 Looking for Anti Cold Medicines ?